Excela provides a full range of services in support of the Chief Privacy Officer (CPO) or Data Protection Officer (DPO). Many organizations do not require a privacy officer on a full-time basis, but virtually all organizations should have someone who has primary responsibility for managing privacy compliance issues. The appointment of a privacy officer (whether or not that title is used) is a requirement of most private sector privacy legislation. The EU's GDPR requires the appointment of DPOs in organizations processing large volumes of personal information, or smaller volumes of sensitive personal information. Excela can support your in-house privacy officer with specialized privacy expertise, or we can provide a complete suite of privacy officer services. For those with GDPR exposure but no physical presence in the EU, we can also arrange the services of an EU-based Data Protection Representative, as required by Article 27 of the GDPR. Many organizations find it difficult to adequately support the privacy officer. The role requires familiarity with the applicable privacy legislation, privacy best practices and privacy assessment methods. The skill set must be kept up to date, because privacy legislation, methods and technology all change over time. Organizations that only infrequent need a privacy officer find it very difficult to maintain the skill set internally. The effectiveness of training and even experience is lost over time if it is not applied regularly in real-world operations. Excela's business is privacy. This means that even if we provide privacy officer support to an organization on a part-time or occasional basis, we offer the skills and expertise of privacy experts who deal with privacy issues every day. The privacy officer need not be an employee of the organization, as long as he or she is familiar with its operations and has the skills and experience necessary to support its compliance with privacy legislation and the expectations of its customers, employees and stakeholders. 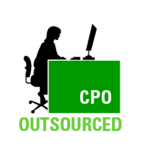 External support for the privacy officer role, or even the outsourcing of the role, makes sense for many organizations. If you have need of a privacy officer but aren't sure you need or want to assign the role internally, Excela can help.